Northampton Mayor David Narkewicz, right, at New England Treatment Access in his city on Nov. 20. The commercial marijuana facility has agreed to pay $10,000 to nonprofits in the city, a voluntary donation that smaller operators cannot afford, Narkewicz said. A review of contracts between local governments and pot companies found that 79 percent required payments that exceeded a state law’s cap on their value, marijuana advocacy groups said Tuesday. The advocates’ analysis of 77 deals, which showed a pattern that they say hurts small businesses, was part of their request filed with the Massachusetts Cannabis Control Commission asking it to enforce the law’s limits on the contracts’ duration and payment amounts. The commission has declined to review the so-called host community agreements, citing unclear legal authority, and voted this month to ask lawmakers for that responsibility. State law limits payments from cannabis firms to municipalities at 3 percent of a company’s annual revenue and says they must be reasonably related to the actual costs to the town or city of the business being located there. It also states that contracts cannot last longer than five years. 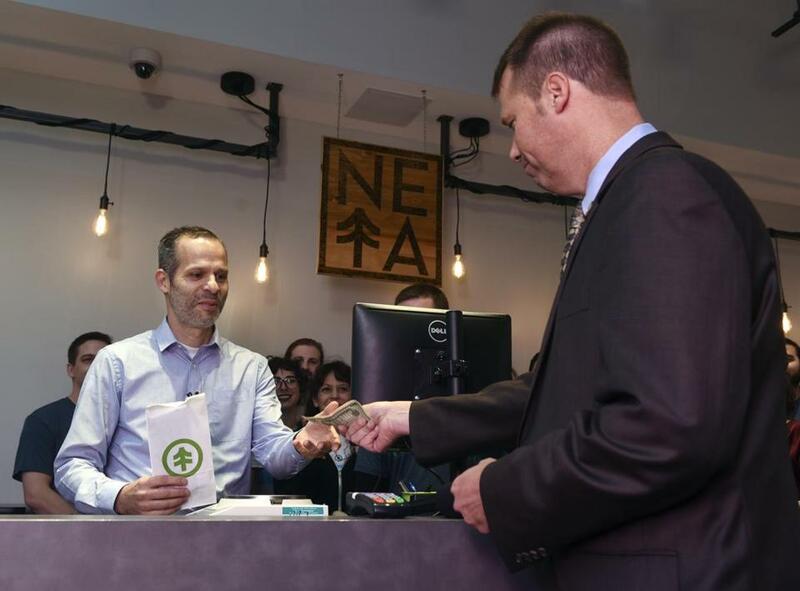 The “Commission is essentially abdicating its role as regulator,” said the petition filed by the Massachusetts Cannabis Reform Coalition and the Massachusetts Grower Advisory Council, which represents small-scale cultivators. The commission would review the petition, a spokeswoman said, and declined further comment. Many local governments say that larger payments are within their legal rights and help the public benefit more from the booming marijuana industry. But equity advocates say the payments that exceed the law’s cap amount to bribes that hurt small businesses and entrepreneurs from communities disproportionately hurt by the war on drugs. “It’s a big problem for smaller or medium-sized businesses because it turns into a barrier to entry,” said Peter Bernard, president of the Massachusetts Grower Advisory Council. “It’s a pay-to-play situation . . . It’s really a matter of extortion and bribery in plain sight,” he added. The analysis, conducted by the law firm Gersten Saltman, found that most contracts violated the limits on deal duration, payment amounts, or both, trends that were first reported in August by The Boston Globe. The petition cited a slew of excessive payments in cities and towns across the state. For instance, New England Treatment Access in Northampton agreed to pay $10,000 to nonprofits there, in addition to paying 3 percent of its annual revenue to the city. Mayor David J. Narkewicz of Northampton has said the donations are voluntary, and help local addiction and substance abuse prevention groups keep kids off drugs. Smaller operators aren’t asked to contribute as much, he added. The Globe has previously reported on other examples of payments that seem to exceed the cap: I.N.S.A. Inc. paid Easthampton an additional $10,000 up front and Alternative Therapies Group in Amesbury agreed to pay an extra $25,000 annually to charity. Mayor Ken Gray of Amesbury has said that Alternative Therapies suggested adding the donations to the contract, which it confirmed. The Cannabis Control Commission voted 4 to 1 earlier this month to ask the Legislature for the legal authority to regulate the agreements. The vote came after Commissioner Kay Doyle said virtually all 63 contracts she reviewed included “an additional payment or charitable donation” besides the 3 percent fee. Doyle also said that under the current landscape, the commission could face lawsuits if it took any enforcement action because of its lack of express authority and the law’s vague wording that doesn’t explicitly ban additional payments or donations. “Cities and towns have broad authority to negotiate on behalf of the public in the public interest,” Beckwith said, adding that they do so in many industries such as cable and telecommunications providers. In sending the petition, the law firm requested a response within 30 days, the timeframe other state regulators hold themselves to.